We are SO excited to share this income report with you guys, because of the massive steps forward that we made in the month of January, that you can copy and get similar results! If you sign up through our Bluehost link you will also get a free blog domain name and the lowest possible price for hosting. What we really LOVE about online business is that the earning potential is almost unlimited! We can basically choose how much we want to earn! It doesn’t get much better than that. When you combine the freedom and the sense of helping people that blogging gives you, there really is not a better business out there! We din’t really start blogging to make a lot of money – for us it was more about the freedom blogging gives us. So if you have not started a blog yet – we highly recommend starting one ASAP to ensure that 2018 is the year that you take back your financial freedom! Blogging tip: Always pay for self-hosting with WordPress. 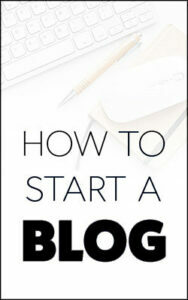 It may be tempting to start a free blog but you will not be able to monetize the blog as effectively. Self-hosting is very cheap (the price of a cup of coffee a month!) but it will allow you to monetize your blog using ads. Seriously we made this mistake years ago! Check out our tutorial that guides you through step-by-step to setting up your first blog that is self-hosted on WordPress. 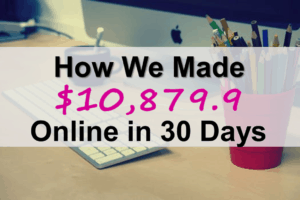 Here is a breakdown of how we made our online income this month. Lets start with the income generated from the website that you are currently reading! We started this blog 6 months ago and the income from it has reached almost $1000 per month. Not too bad! We make money from Unconventional Prosperity by earning commission from affiliate sales on a variety of different services and products. Here is exactly how we made the $904.61 in January. CPA affiliate commission for paid survey sites = $609.1. This is a significant increase from December. We love these paid survey affiliate offers, they have a super high conversion rate of 40%! This is because we get paid per lead (typically $1-$6 per lead) that we send to the survey companies. There is no sale involved, which results in a much higher conversion rate than selling information products. The paid surveys help people make some extra money online and do not cost anything to participate in. This is the coolest thing about promoting paid survey sites is that the customer doesn’t have to buy anything for you to get paid! You get paid for them to make a little extra money! It is a win-win business model and one that I learned from Michelle Schroeder-Gardner (She makes $100k+ every month with affiliate marketing). Michelle’s course ‘Making Sense Of Affiliate Marketing‘ is truly life changing! This blog would not exist if we had not bought her world-class affiliate marketing course! Our most popular paid survey opportunity with our readers this month was Survey Junkie. One very lucrative change that we made this month was switching to a different the affiliate network that we use to promote Survey Junkie. We were previously promoting Survey Junkie using Maxbounty. A month or so we decided to contact the company that owns Survey Junkie. They were able to offer us a 50% increase in commission just by dealing directly with them. Not bad right – a 50% raise just for choosing a different merchant! Cut out the middle man and make more money! This is what we love about online income – the money that you earn can be increased exponentially without extra hours worked! If you are a new blogger in the personal finance niche, here is an example of a post that does pretty well for us with the promotion of paid survey offers. We love affiliate marketing courses. Especially courses that teach you how to drive huge amounts of traffic to your blog or website. The products listed below have been CRUCIAL to our success online and we are excited to promote them to our blog audience (because we TRULY LOVE THEM). We wrote a blog post recently, that gives you more details about 5 of our favorite blogging courses that we highly recommend. Check out the article using the link below. 5 Amazing Blogging Courses To Try Right Now! Here is a list of the main courses and educational products that we are affiliated with and what we earned from promoting them on this blog in January 2018. Making Sense of Affiliate Marketing by Michelle Schroeder-Gardner = $78.8 affiliate commissions in January (Read our full review). Pinteresting Strategies by Carly Campbell = $12.8 affiliate commissions in January. The Perfect Pin: How to Create Viral Pinterest Images by Jeff Proctor = $107.16 affiliate commissions in January (Read our full review). We believe these blogging courses have been crucial to our blog growth. 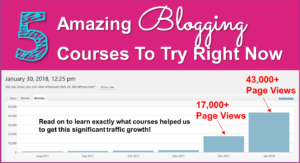 We are only in month 6 of this blogs life cycle, but in just one month the affiliate revenue from just recommending these courses exceeds what we paid to take the courses in the first place! And we are helping other people learn and improve their own financial blogs! The return on investment of these courses is pretty amazing. Every month or so we try and buy an ebook or course that is written by a well established blogger so that we can try and replicate some of their success. This month we tried a 100+ page ebook by successful blogger, Lena Gott. The ebook is called Traffic Transformation and we purchased it when it was on sale for $54 (normal price is $79). 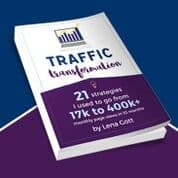 Traffic Transformation totally packed with amazing tips and tricks on how to get more traffic to your blog. It is like a reference manual – we keep going back to it and re-reading sections that we missed the first few times around. 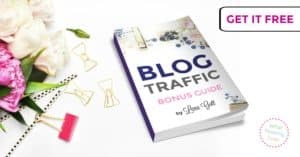 So far, we have learned a ton about interlinking blog posts properly and some simple yet effective strategies that have increased our traffic from Pinterest and Google from this ebook. We love this guide and we are implementing its teachings on a daily basis. Check back in a few weeks after we have written a full review of Traffic Transformation! In the meantime, if you just want some excellent information for FREE be sure to check out Lena’s FREE Traffic Bonus Guide. Signing up for the FREE Traffic Bonus will also mean that you will be notified when Lena has a discount sale going on. Free Blog Traffic Bonus Guide! Here is a screenshot from our WordPress Analytics. This growth in visitors to the site is due to increasing Pinterest traffic! Pretty amazing really that it is possible to get this free traffic. We have been focusing on Pinterest growth for the last few months and it has been paying off quite nicely. However, our focus going forward is going to be on SEO to try and diversify our traffic sources. If you want to improve your Pinterest Traffic, we recommend trying the course ‘Perfect Pin: How To Create Viral Pinterest Images‘. This course helped us to make some really awesome new pins, very quickly and we have seen a dramatic increase in our traffic from Pinterest. Finally, we made the majority of our online income from our original stock trading blog. This site only had about 10,000 page views in January. The products that we promote teach stock trading strategies to the customer. They are high ticket, high commission products with an average commission rate of $200 per sale. Good luck and we hope that you have found something useful in this report!